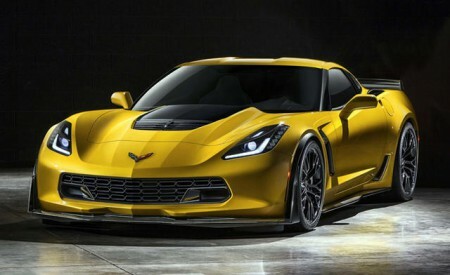 The North American International Auto Show revealed both the 2015 Chevrolet Corvette Z06 and C7.R this morning. Conveniently, for anyone who wasn’t able to be in Detroit for the live reveal, the show was streamed live on YouTube. The new Z06 was escorted to the Auto Show from Chevrolet’s tech center, hauled by the 2014 Silverado, and followed by thirty 2014 Corvette Stingrays. The Z06 also features a lot of the same features as the Stingray like: magnetic ride control, electronic limited slip differential, 5-mode drive selector, and the new performance data recorder. The Z06 has an all-aluminum frame that is 60% stiffer than the frame in the outgoing model and also has a removable carbon-fiber roof panel. The C7.R will make its debut later this month at the Rolex 24 at Daytona where Corvette Racing expects to keep tradition going and continue to be the most successful endurance racing program in American Le Mans history. 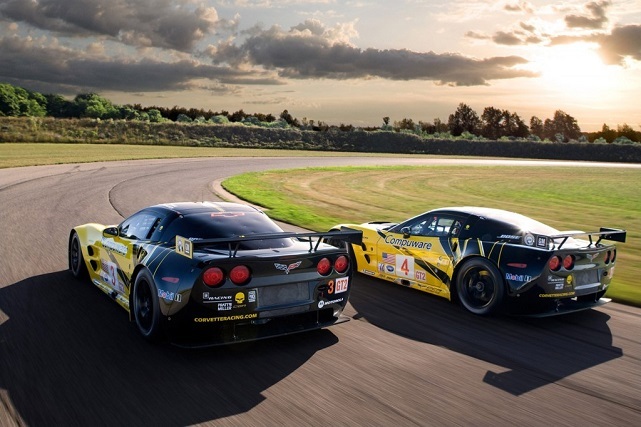 Over the past 14 seasons, Corvette Racing has won 90 races, 10 manufacturer championships and 10 team championships in the American Le Mans series. To add to the excitement of this morning’s reveal, journalists also announced the 2014 Corvette Stingray as North American Car of the Year and the 2014 Silverado 1500 as the North American Truck of the Year. Not too shabby. And now for the bad news… The Z06 won’t be available for delivery until later this year. However, stay tuned for updates on pre-ordering, or fill out the contact form below and we can send you updates personally.